Paris Photo and Aperture Foundation announced The Paris Photo–Aperture Foundation PhotoBook Awards, celebrating the book’s contribution to the evolving narrative of photography. Two prizes will be awarded: First PhotoBook and PhotoBook of the Year. A preselected shortlist of thirty titles will be profiled in The PhotoBook Review; will be exhibited at Paris Photo at the Grand Palais and at Aperture Gallery in New York; and will tour to other venues, to be determined. The initial selection will be made by Phillip Block, Deputy Director of Programs and Director of Education at the International Center of Photography; Chris Boot, Executive Director of Aperture Foundation; Julien Frydman, Director of Paris Photo; Lesley A. Martin, Publisher at Aperture Foundation; and James Wellford, senior international photo editor at Newsweek magazine. A final jury in Paris, including Els Barrents, Director of the Huis Marseille; Roxana Marcoci, Curator of Photography at the Museum of Modern Art, New York, and Curator of the Paris Photo 2012 Platform; Edward Robinson, Associate Curator of Photography at Los Angeles County Museum of Art; and Thomas Seelig, Curator of the Fotomuseum Winterthur, will select the winners for both prizes, which will be announced at the opening of Paris Photo on November 14, 2012. Each winner will receive a $10,000 prize. 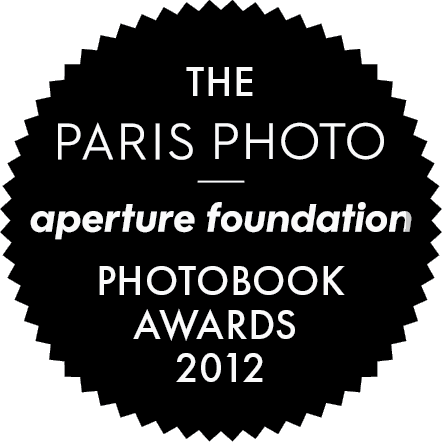 Publishers and photographers can enter online at www.aperture.org/photobookawards until September 10, 2012. First PhotoBook will be awarded to an artist/photographer whose first finished, publicly available book is deemed by the jury to be the best of 2012. Ten books from this category will be preselected, presented to the jury for the final selection, and exhibited during Paris Photo. PhotoBook of the Year will be given to the author/editor/featured artist/photographer of a photobook, and its publisher, deemed by the jury to be the best of 2012. Twenty books from this category will be preselected, presented to the jury for the final selection and exhibited along with First PhotoBook pre-selects during Paris Photo. After Paris Photo, the exhibition will travel to Aperture Gallery in New York, and to other venues to be determined. The purpose of the Aperture Portfolio Prize is to identify trends in contemporary photography and specific artists whom we can help by bringing them to a wider audience. In choosing the first-prize winner and runners-up, we are looking for work that is fresh and that hasn’t been widely seen in major publications or exhibition venues. First prize is $5,000. The first-prize winner and runners-up are featured in Aperture’s website for approximately one year. Winners are also announced in the foundation’s e-newsletter, which reaches thousands of subscribers in the photography community. The entry period for the 2010 Aperture Portfolio Prize begins Friday, May 14, 2010, and the deadline is Wednesday, July 14, 2010, at 12:00 noon EST. All entrants will be contacted with final results by November 1, 2010. For more information, see the Guidelines and FAQs pages.